"Watkins Shepard have purchased in excess of 1000 VeeBoards® and use them in all operations, check these ones at work!!!!" 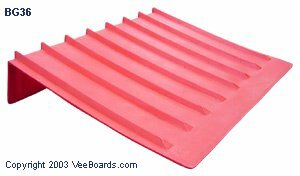 VeeBoards are used extensively in the vegetable growing regions of California and Florida. Also shown are some old Aluminum boards that have been taken out of circulation because of safety and health reasons.